It’s been a real treat to watch the Winter Games in Sochi, Russia, where it’s been 60 degrees and sunny, while the snow’s been falling like crazy outside my own home in South Carolina! What’s wrong with this picture?! One of my favorite events of the Olympics so far was the men’s snowboarding half pipe. Shaun White, the great American “Flying Tomato,” was going for his third consecutive Olympic gold medal in the event, but ended up off the podium completely. It wasn’t the result of the competition itself that stuck with me, but instead I was struck with the reactions of the athletes afterwards. Shaun White handled his defeat with such grace, and his fellow competitors all paid genuine respect to him for really advancing the sport to what it is today. It was clear to me that over the course of his great career, Shaun White has learned how to be gracious when he loses AND when he wins, and of the value of the camaraderie of competition. There’s so much to learn in those moments. To me, that is why sports represent such a unique and unrivaled platform for ministry. There are ministry opportunities to be had whether we finish “on the podium” or off. The Bible speaks so much wisdom into the world of sports—God’s Word encourages us to run to win the prize (1 Corinthians 9:24); it compels us to press on and persevere (Philippians 3:14); it tells us that speed matters (John 20:3-4)! Sports is one of THE BEST universal languages with which to share the Gospel—Individuals of all ages, ethnicities, and creeds come together for competition. What a great platform! Life lessons can be found in both victory AND defeat—How we respond to winning or losing plays a key role in the development of integrity and character. I really loved and appreciated that! A universal language (sports) with an eternal message (the gospel of Jesus Christ). People who don’t go to church don’t go to church for the sake of going to church anymore. We really need to be INTENTIONAL about the forms of outreach we pursue – and what makes SPORTS so critical as a form of outreach is that it appeals to practically everyone everywhere. The apostle Paul uses athletics as a metaphor for our walk with the Lord; in 1 Corinthians he writes that we are disciplined in our training so that we might earn a crown that lasts FOREVER. The Olympics always give us these great stories. Every time these two weeks of international competition come to an end, we’ve connected to athletes we’d never heard of, sports we’ve never played, and languages we don’t have a hope of being able to speak. Think about all these great stories, all these great moments, and then think about the GREATEST story that has ever been told—Jesus Christ walking among us and dying for all of our sins. That’s the “eternal message.” We are so thankful that we have the universal language of sports through which to share it! Caz McCaslin is the Founder & President of Upward Sports. 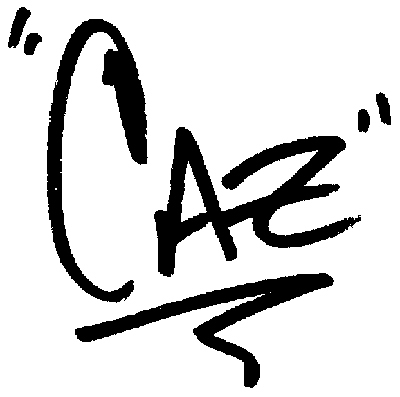 Caz was on staff at First Baptist Church of Spartanburg (SC) when he launched Upward Sports in 1995. Since its first basketball program in the FBC Spartanburg gym, Upward Sports has grown into the world’s largest Christian youth sports provider, with more than 2,000 church partners reaching nearly half a million young athletes annually across the country. Caz has three daughters, two son-in-laws and will soon be a grandfather for the first time; he and his wife, Leslie, still call Spartanburg home. Good day! I just wish to give an enormous thmubs up for the great info you will have right here on this post. I will likely be coming again to your blog for more soon.